Wired.com is presenting a collection of galleries intended to help people become better geeks, nine items at a time. This is the seventh in the 9 for 9 series. From Star Wars to Lord of the Rings, the spectacular geek destinations in the gallery above are some of the coolest movie locations on the planet. They're from films you've probably seen, but you'd have to be a well-traveled cinephile to have visited them all. We understand that to hit all these cinematic hot spots would be a time- and money-intensive affair, but we still made sure all the places on the list are actually locations that people can visit. Perhaps more importantly, these are locations that are really fun to travel to. (You can go to the California parks where Return of the Jedi was filmed, but without the Ewoks, the Forest Moon of Endor is really just a bunch of trees). These spots are scattered around the world, and all are worth the airfare. Let us know how many you've been to in the comments below. (We hope you're not a lifelong resident of Mordor.) Then enter your own must-visit geek movie destinations in the voting widget at the bottom of the page. 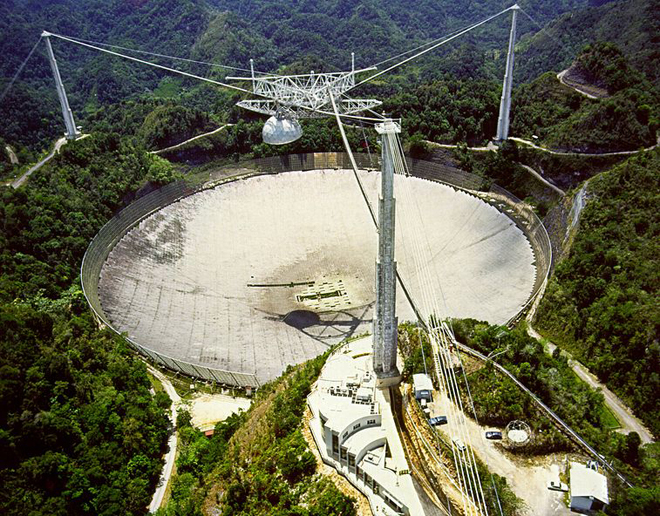 Based on Carl Sagan's 1985 novel, Contact actually features two National Science Foundation radio astronomy facilities, but let's face it: Arecibo Observatory is in Puerto Rico, making it 10 times sexier than the Very Large Array (sorry, New Mexico). Better yet, you can visit Arecibo almost any day of the year (save for a few holidays) and see the largest radio telescope on Earth. (Sorry again, New Mexico, you're just "very large.") The location was also used in 1995 James Bond film GoldenEye, but Contact is what put it on the map. Also, just look at it. How cool is that? While you're there: We hear Puerto Rico has some jammin' beaches; take one in once you're done geeking out.